LITTLE ROCK, AR--(Marketwire - October 26, 2009) - Roll, LLC, a developer and marketer of innovative consumer and professional liquid delivery systems to eradicate and control various insect pests, today announced the launch of a new professional control application system. The revolutionary Mosquito 86® Backpack System is specially designed for pest control applicators. This one-of-a-kind mosquito elimination system is available as a complete backpack kit that features a Kawasaki leaf blower and a new patented tank frame that promises to maximize mobility and reduce on-the-job fatigue and discomfort. The system will also soon be available in a side tank design that comes with a custom adapter to fit leading backpack blower models. The Mosquito 86 Backpack System presents a new business opportunity for commercial users who can enhance their services and draw more revenue from their existing account base. "The new Mosquito 86 Backpack System gives professionals the flexibility and freedom to treat any and all areas when needed, and the ability to zero in on stubborn areas which may not be accessible by truck sprayers. Monthly or more frequent applications can increase professionals' bottom line and help their customers ensure continuous protection from mosquitoes, ticks, fleas and yellow jackets," said Dean Hill, professional landscape designer and host of DIY Network's "Grounds for Improvement." The Mosquito 86 systems use liqui-shear® technology to disperse a water dilution of a permethrin-based pesticide solution known as Mosquito 86 Agent E™. Mosquito 86's aerial application method dispenses both very fine aerosol droplets that stay aloft and kill mosquitoes on contact, and larger droplets that fall to leave a barrier residue for longer term protection. Mosquito 86 Agent E is EPA registered for use in all 50 states and proven effective. Roll, LLC also announced the appointment of David B. Korpieski, the company's new Vice President and Director of Sales. Korpieski is an accomplished sales professional with an established record of increasing revenue and market share. Prior to Roll, Korpieski was at Echo, Inc. where he developed and managed the company's largest account and as well numerous dealers and distributors. According to the company, future product development plans include additional pesticide applications, applications of other lawn and tree chemicals, as well as a winter product. 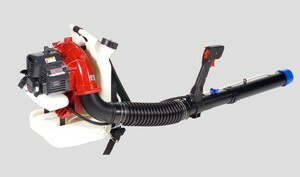 For more information about the Mosquito 86 Backpack System and other Mosquito 86 products, visit www.mosquito86.com or call 877-639-8686. Mosquito 86 is a product of Roll, LLC, a developer and manufacturer of innovative consumer and professional delivery systems to eradicate and control various insect pests. Roll, LLC is based in Little Rock, Arkansas. Expand commerical services, and increase profits with the new Mosquito 86(R) Backpack System that is specially designed for pest control applicators.